I really like kickstarter because it gives creators a chance to show what they are creating and see if there is enough interest to have it produced in volume. Investing in a design and then a website to try and sell it only to find out people don't find it useful is a lot of wasted time and money. Kickstarter is a great way to market test the product after you've built a working prototype. If people finding it interesting they can buy an early sample via the kickstarter rewards offered and thus help fund the mass production of the product. I don't know of a better way for a basement engineer/inventor like me to get this kind of feedback. My kickstarter projects are presented here. 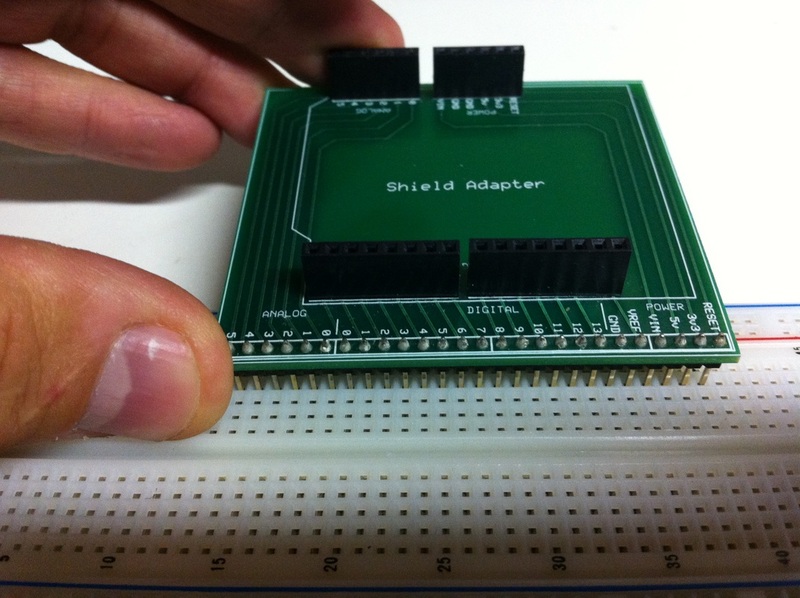 The Demo-Shield is a kickstarter project that updates the previous design. This new design adds connectors to fit the Arduino UNO with the 10 pin and 8 pin expanded connector rails. It also adds shorting traces to replace the jumpers. This makes the board easier and cheaper to build. The Shield-Adapter was a sucessful kickstarter design that allows you to easily connect an Arduino shield to a breadboard. 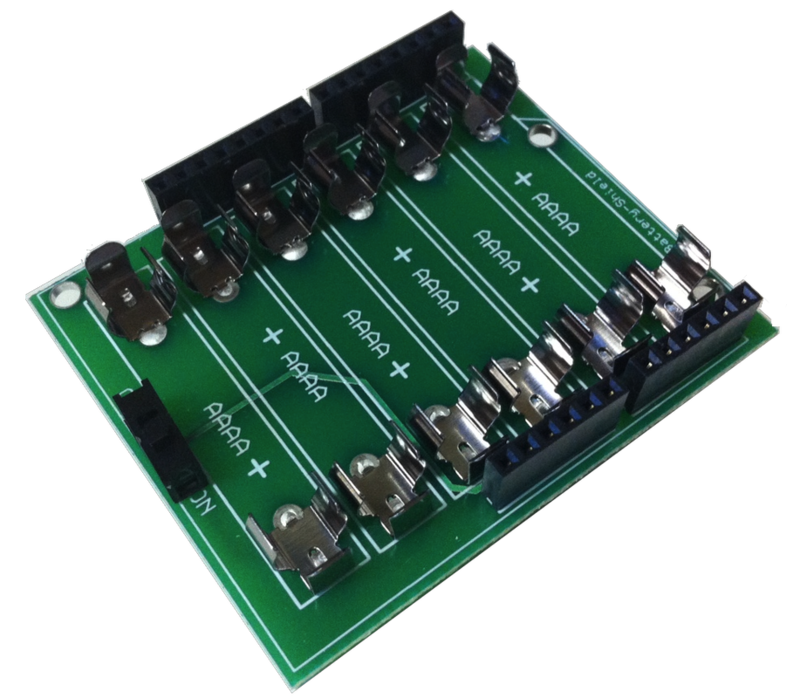 The module can now be purchased at howtronics.com as a fully assembled unit or as a kit. The Battery-Shield was a successful kickstarter design that powers an Arduino, chipKIT or CHIPINO module with 9 volts from 6 AAAA batteries. The height of the AAAA batteries allows you to stack multiple Battery-Shields on top of each other to get more power or a longer lasting project. Each shield has a power switch to you can stack them but control each one separately if you want. It connects to the Vin and Gnd pin of the Power Header. You can buy them now at Howtronics.com as a fully assembled unit or as a kit.